Hot off his recent success with Slumdog Millionaire, the very talented director Danny Boyle has been asked time and time again what he intends to work on next. Speculation has been high and rumors have flown around regarding what the British director would tackle next. Boyle recently sat down with MTV and talked about where some of his production company, DNA Films and he are with some of the rumored projects. First up, Boyle was asked about the adaptation of Terry Pratchett's "Bromeliad" triology. Danny Boyle was distraught in his reaction. He said, “It’s fallen apart. Frank Cotrell Boyce (Millions) and I were going to do it for DreamWorks but sadly no longer. Sorry about that — wonderful novel(s),” Boyle summarized. The trilogy "Truckers," "Diggers" and "Wings" tell the story of the Nomes, a race of tiny people from another world who now live hidden among humans. Each book follows different characters through (mostly) concurrent events. It is a disappointment that Boyle's vision couldn't been utilized on something he refered to as "wonderful." 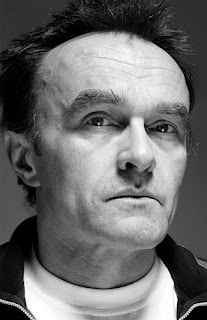 Danny Boyle also took on the internet rumors due to his production company DNA Films, acquiring the rights to Judge Dredd. Speculation has swirled that the Trainspotting director would take on "Judge Dredd" himself. In a anything but modest statement Boyle said, "Not a great fan of superhero movies." The idea that Danny Boyle would direct Dredd is intriguing but at same time, if he doesn't like superhero movies, why should he direct one? Boyle continued by adding why DNA Films picked up the rights to the comic series. "We need those extremes of storytelling, but are reluctant to use them in anything other than fantasy movies." Danny Boyle was also asked by Empire if he planned on directing the remake. His reply was blunt. 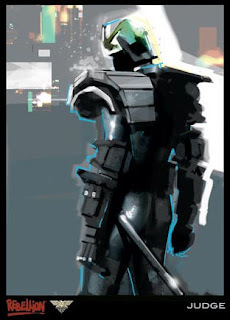 "Someone asked me about Judge Dredd the other day! I hated the last version of it; I can’t imagine the next one will be any better," Boyle barked. The last thing the acclaimed director spoke about was the possibility of he returning to direct a sequel to 28 Days Later. Boyle who seemed very excited of the notion to a sequel said to MTV, "It’s not “28 Months Later”! [We've] got a good idea for the third one,” he teased. “Very strange.” Boyle's excitement is inticing. His original film was so damn good and to have him back with an idea, he refers to as "strange," really gets my gears turning. I truely hope Boyle does in fact return to make a third film in the series. Boyle better actually make a sequel to 28 Days Later, he has been teasing us with its since he made the original!